The Blackwater International Coal Centre provides amazing perspectives to the coal mining industry as it showcases the Australian coal industry to the world. See how early settlers lived and worked. Wonder at the size and scale of the massive equipment used today, and learn about Australia’s leading role in the development of technologies of global importance. Experience the warm welcome of a country mining town, see outback scenery and be amazed at the sheer size of this vital, world class industry. 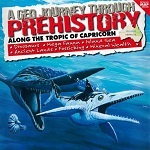 It’s a total interactive learning experience for the whole family. Coal was discovered in the Blackwater area in 1845. The person who discovered the Blackwater coal deposits was Ludwig Leichhardt. He travelled through the district in 1845 on his way to Port Essington in the Northern Territory. 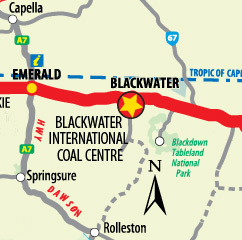 Twenty-seven kilometres from the present site of Blackwater, Leichhardt observed ‘beds of coal indistinguishable from those on the Hunter at Newcastle’. It wasn’t until the early 1960s that the town really started to develop. In 1959-60 coking coal was found to the south of the town. A mining lease was granted in 1965 and in 1967 the first mine in the area started operating. It is claimed that in 1962 the town’s population was only 25. Twenty years later it had grown to over 8000. How can I experience Coal Country? Visit Blackwater International Coal Centre: Relive the history and explore the future of coal mining at the Blackwater International Coal Centre. Take a mine tour: If you still want more after visiting the interpretive centre, be sure not to miss a guided tour to see a real working coal mine first hand. Experience the scale of the operations and the massive equipment used in the coal mining industry. Contact the Blackwater International Coal Centre for details. 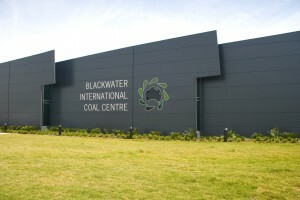 Visit the Blackwater International Coal Centre, Blackwater.